Ukrainian military signals intelligence satellite. The Tselina D was the detailed observation portion of the two-satellite Tselina ELINT satellite system. ELINT satellite built by Yuzhnoye (prime), TsNII-108 GKRE (payload), Russia. Launched 1970 - 1994. AKA: 11F619;Ikar. Status: Operational 1970. First Launch: 1970-12-18. Last Launch: 1994-05-25. Number: 77 . Gross mass: 2,000 kg (4,400 lb). Development began in the 1960's, with first launch in 1970, but major technical difficulties resulted in the Tselina-D not being declared operational until 1976. However by 1984 technical improvements allowed Tselina-D to take over the general surveillance function of the other satellite. The final launch attempt in the series took place in 1994. The Tselina dedicated ELINT satellite system included two satellites: Tselina-O for general surveillance and Tselina-D for detailed observations. TsNII-108 GKRE (Zaslavskiy) developed the payload while V M Kovtunenko of Yuzhnoye/OKB-586 build the satellite and launch vehicle. The first Tselina-O was launched by a Kosmos-3M in 1970. Delays in payload development and weight growth in the Tselina-D resulted in the whole Tselina system not being operational until 1976. The Vostok booster had to be used due to the higher weight of Tselina-D; this was later replaced by the Tsyklon-3 booster. Constant improvement resulted in Tselina-O being abandoned in 1984 and all systems being put on Tselina-D. In 1981 a second control and information processing center was established. Tselina-D and -O spacecraft were operated simultaneously to maximize results. The Tselina system not only localized and classified radio emitters but also characterized their functional regimes. It also characterized command traffic from military units, allowing targeting of those units by photo reconnaissance satellites. 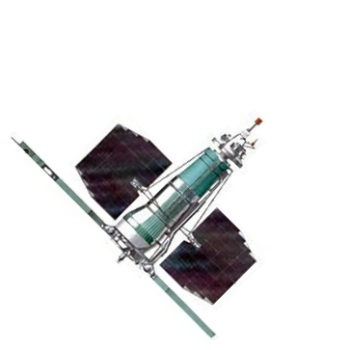 Tselina-D satellites were operated in six orbital planes, spaced 30 degrees apart. They would record data received, and then dump it to ground stations while passing over the Soviet Union. In the late 1980's the much larger Tselina-2, launched by a Zenit-2 booster, began taking over the task. The last successful Tselina-D launch was in 1992. By that time the constellation had been reduced to three orbital planes spaced at 60 degrees, complementing the Zenit-2 constellation in four higher-altitude orbital planes spaced 40 degrees apart. Western observers could monitor the status of the Tselina-D satellites via their continuous-wave beacons which operated at 153 MHz. Family: Medium earth orbit, SIGINT. Country: Ukraine. Launch Vehicles: R-7, Vostok 8A92M, Tsiklon, Tsiklon-3. Projects: Tselina. Launch Sites: Plesetsk, Plesetsk LC41/1, Plesetsk LC43/4, Plesetsk LC32/2, Plesetsk LC32/1, Plesetsk LC32. Agency: MOM, Yuzhnoye. Bibliography: 102, 2, 445, 474, 5, 6, 6997, 13303, 13304, 13305. 1970 January 2 - . LV Family: R-36. Launch Vehicle: Tsiklon-3. Tsiklon 3 launch vehicle development authorised. - . Nation: Russia. Spacecraft: Meteor, Tselina-D. Central Committee of the Communist Party and Council of Soviet Ministers Decree 'On the Creation of the Carrier-Rocket 11K68 on The Basis of 11K69 RN and S5M Stage for Launch of Space Apparatus 'Tselina' and .Meteor'--approval of work on the Tsiklon-3 RN. 1970 December 18 - . 16:15 GMT - . Launch Site: Plesetsk. LV Family: R-7. Launch Vehicle: Vostok 8A92M. Cosmos 389 - . Payload: Tselina-D no. 1. Mass: 3,800 kg (8,300 lb). Nation: Russia. Agency: MOM. Program: Tselina. Class: Surveillance. Type: SIGINT. Spacecraft: Tselina-D. Decay Date: 2003-11-24 . USAF Sat Cat: 4813 . COSPAR: 1970-113A. Apogee: 568 km (352 mi). Perigee: 543 km (337 mi). Inclination: 81.20 deg. Period: 95.80 min. 1971 April 7 - . 07:10 GMT - . Launch Site: Plesetsk. LV Family: R-7. Launch Vehicle: Vostok 8A92M. Cosmos 405 - . Payload: Tselina-D no. 2. Mass: 3,800 kg (8,300 lb). Nation: Russia. Agency: MOM. Program: Tselina. Class: Surveillance. Type: SIGINT. Spacecraft: Tselina-D. USAF Sat Cat: 5117 . COSPAR: 1971-028A. Apogee: 603 km (374 mi). Perigee: 594 km (369 mi). Inclination: 81.20 deg. Period: 96.70 min. 1972 March 1 - . 11:15 GMT - . Launch Site: Plesetsk. LV Family: R-7. Launch Vehicle: Vostok 8A92M. Cosmos 476 - . Payload: Tselina-D no. 3. Mass: 3,800 kg (8,300 lb). Nation: Russia. Agency: MOM. Program: Tselina. Class: Surveillance. Type: SIGINT. Spacecraft: Tselina-D. Decay Date: 1991-10-25 . USAF Sat Cat: 5852 . COSPAR: 1972-011A. Apogee: 388 km (241 mi). Perigee: 379 km (235 mi). Inclination: 81.20 deg. Period: 92.20 min. 1972 December 28 - . 11:00 GMT - . Launch Site: Plesetsk. LV Family: R-7. Launch Vehicle: Vostok 8A92M. Cosmos 542 - . Payload: Tselina-D no. 4. Mass: 3,800 kg (8,300 lb). Nation: Russia. Agency: MOM. Program: Tselina. Class: Surveillance. Type: SIGINT. Spacecraft: Tselina-D. Decay Date: 1983-10-09 . USAF Sat Cat: 6328 . COSPAR: 1972-106A. Apogee: 640 km (390 mi). Perigee: 527 km (327 mi). Inclination: 81.00 deg. Period: 96.30 min. 1973 October 29 - . 14:00 GMT - . Launch Site: Plesetsk. LV Family: R-7. Launch Vehicle: Vostok 8A92M. Cosmos 604 - . Payload: Tselina-D no. 5. Mass: 2,000 kg (4,400 lb). Nation: Russia. Agency: MOM. Program: Tselina. Class: Surveillance. Type: SIGINT. Spacecraft: Tselina-D. Decay Date: 1992-01-19 . USAF Sat Cat: 6907 . COSPAR: 1973-080A. Apogee: 424 km (263 mi). Perigee: 413 km (256 mi). Inclination: 81.20 deg. Period: 92.90 min. 1974 August 16 - . 03:41 GMT - . Launch Site: Plesetsk. LV Family: R-7. Launch Vehicle: Vostok 8A92M. Cosmos 673 - . Payload: Tselina-D no. 6. Mass: 3,800 kg (8,300 lb). Nation: Russia. Agency: MOM. Program: Tselina. Class: Surveillance. Type: SIGINT. Spacecraft: Tselina-D. Decay Date: 1991-06-01 . USAF Sat Cat: 7417 . COSPAR: 1974-066A. Apogee: 416 km (258 mi). Perigee: 399 km (247 mi). Inclination: 81.20 deg. Period: 92.70 min. 1975 June 20 - . 06:54 GMT - . Launch Site: Plesetsk. LV Family: R-7. Launch Vehicle: Vostok 8A92M. Cosmos 744 - . Payload: Tselina-D no. 7. Mass: 2,500 kg (5,500 lb). Nation: Russia. Agency: MOM. Program: Tselina. Class: Surveillance. Type: SIGINT. Spacecraft: Tselina-D. Decay Date: 1991-10-12 . USAF Sat Cat: 7968 . COSPAR: 1975-056A. Apogee: 380 km (230 mi). Perigee: 367 km (228 mi). Inclination: 81.20 deg. Period: 92.00 min. 1975 August 22 - . 02:11 GMT - . Launch Site: Plesetsk. LV Family: R-7. Launch Vehicle: Vostok 8A92M. Cosmos 756 - . Payload: Tselina-D no. 8. Mass: 2,500 kg (5,500 lb). Nation: Russia. Agency: MOM. Program: Tselina. Class: Surveillance. Type: SIGINT. Spacecraft: Tselina-D. Decay Date: 1992-11-05 . USAF Sat Cat: 8127 . COSPAR: 1975-076A. Apogee: 403 km (250 mi). Perigee: 394 km (244 mi). Inclination: 81.20 deg. Period: 92.50 min. 1976 March 16 - . 17:22 GMT - . Launch Site: Plesetsk. LV Family: R-7. Launch Vehicle: Vostok 8A92M. Cosmos 808 - . Payload: Tselina-D no. 9. Mass: 3,000 kg (6,600 lb). Nation: Russia. Agency: MOM. Program: Tselina. Class: Surveillance. Type: SIGINT. Spacecraft: Tselina-D. Decay Date: 1993-11-20 . USAF Sat Cat: 8754 . COSPAR: 1976-024A. Apogee: 370 km (220 mi). Perigee: 363 km (225 mi). Inclination: 81.20 deg. Period: 91.90 min. 1976 August 27 - . 14:35 GMT - . Launch Site: Plesetsk. LV Family: R-7. Launch Vehicle: Vostok 8A92M. Cosmos 851 - . Payload: Tselina-D no. 10. Mass: 3,000 kg (6,600 lb). Nation: Russia. Agency: MOM. Program: Tselina. Class: Surveillance. Type: SIGINT. Spacecraft: Tselina-D. Decay Date: 1989-08-05 . USAF Sat Cat: 9389 . COSPAR: 1976-085A. Apogee: 313 km (194 mi). Perigee: 300 km (180 mi). Inclination: 81.20 deg. Period: 90.70 min. 1976 December 10 - . Tselina-D accepted for military service. - . Nation: Russia. Class: Surveillance. Type: SIGINT. Spacecraft: Tselina-D. Central Committee of the Communist Party and Council of Soviet Ministers Decree 'On adoption of the Tselina-D into armaments' was issued..
1977 February 26 - . 21:18 GMT - . Launch Site: Plesetsk. LV Family: R-7. Launch Vehicle: Vostok 8A92M. Cosmos 895 - . Payload: Tselina-D no. 11. Mass: 2,500 kg (5,500 lb). Nation: Russia. Agency: MOM. Program: Tselina. Class: Surveillance. Type: SIGINT. Spacecraft: Tselina-D. Decay Date: 1992-03-22 . USAF Sat Cat: 9853 . COSPAR: 1977-015A. Apogee: 442 km (274 mi). Perigee: 433 km (269 mi). Inclination: 81.20 deg. Period: 93.30 min. 1977 June 24 - . 10:30 GMT - . Launch Site: Plesetsk. Launch Complex: Plesetsk LC32/2. LV Family: R-36. Launch Vehicle: Tsiklon-3. Cosmos 921 - . Payload: Tselina-D Mass model. Mass: 5,000 kg (11,000 lb). Nation: Russia. Agency: MO. Program: Tselina. Class: Surveillance. Type: SIGINT. Spacecraft: Tselina-D. USAF Sat Cat: 10095 . COSPAR: 1977-055A. Apogee: 651 km (404 mi). Perigee: 587 km (364 mi). Inclination: 75.80 deg. Period: 97.10 min. Launch vehicle test. Dummy payload. Investigation of the upper atmosphere and outer space..
1977 July 7 - . 07:25 GMT - . Launch Site: Plesetsk. LV Family: R-7. Launch Vehicle: Vostok 8A92M. Cosmos 925 - . Payload: Tselina-D no. 12. Mass: 2,500 kg (5,500 lb). Nation: Russia. Agency: MOM. Program: Tselina. Class: Surveillance. Type: SIGINT. Spacecraft: Tselina-D. Decay Date: 1993-04-29 . USAF Sat Cat: 10134 . COSPAR: 1977-061A. Apogee: 275 km (170 mi). Perigee: 269 km (167 mi). Inclination: 81.20 deg. Period: 90.00 min. 1977 September 20 - . 01:01 GMT - . Launch Site: Plesetsk. LV Family: R-7. Launch Vehicle: Vostok 8A92M. Cosmos 955 - . Payload: Tselina-D no. 13. Mass: 2,500 kg (5,500 lb). Nation: Russia. Agency: MOM. Program: Tselina. Class: Surveillance. Type: SIGINT. Spacecraft: Tselina-D. Decay Date: 2000-09-07 . USAF Sat Cat: 10362 . COSPAR: 1977-091A. Apogee: 501 km (311 mi). Perigee: 493 km (306 mi). Inclination: 81.20 deg. Period: 94.60 min. 1977 September 24 - . 10:15 GMT - . Launch Site: Plesetsk. Launch Complex: Plesetsk LC32/2. LV Family: R-36. Launch Vehicle: Tsiklon-3. FAILURE: Probable failure of launch vehicle stage to reach proper orbit.. Failed Stage: 3. Cosmos 956 - . Payload: Tselina-D Mass model. Mass: 5,000 kg (11,000 lb). Nation: Russia. Agency: MO. Program: Tselina. Class: Surveillance. Type: SIGINT. Spacecraft: Tselina-D. Decay Date: 1982-06-27 . USAF Sat Cat: 10375 . COSPAR: 1977-095A. Apogee: 864 km (536 mi). Perigee: 355 km (220 mi). Inclination: 75.80 deg. Period: 96.80 min. Launch vehicle test. Dummy payload. Probable failure of launch vehicle stage to reach proper orbit. Investigation of the upper atmosphere and outer space..
1977 December 27 - . 08:00 GMT - . Launch Site: Plesetsk. Launch Complex: Plesetsk LC32/2. LV Family: R-36. Launch Vehicle: Tsiklon-3. FAILURE: Probable failure of launch vehicle stage to reach proper orbit.. Failed Stage: 3. Cosmos 972 - . Payload: Tselina-D Mass model. Mass: 5,000 kg (11,000 lb). Nation: Russia. Agency: MO. Program: Tselina. Class: Surveillance. Type: SIGINT. Spacecraft: Tselina-D. USAF Sat Cat: 10539 . COSPAR: 1977-123A. Apogee: 1,157 km (718 mi). Perigee: 712 km (442 mi). Inclination: 75.80 deg. Period: 103.70 min. Launch vehicle test. Dummy payload. Probable failure of launch vehicle stage to reach proper orbit. Investigation of the upper atmosphere and outer space..
1978 January 10 - . 13:23 GMT - . Launch Site: Plesetsk. LV Family: R-7. Launch Vehicle: Vostok 8A92M. Cosmos 975 - . Payload: Tselina-D no. 14. Mass: 4,000 kg (8,800 lb). Nation: Russia. Agency: MOM. Program: Tselina. Class: Surveillance. Type: SIGINT. Spacecraft: Tselina-D. Decay Date: 2001-09-19 . USAF Sat Cat: 10561 . COSPAR: 1978-004A. Apogee: 522 km (324 mi). Perigee: 513 km (318 mi). Inclination: 81.20 deg. Period: 95.00 min. 1978 May 12 - . 04:07 GMT - . Launch Site: Plesetsk. LV Family: R-7. Launch Vehicle: Vostok 8A92M. Cosmos 1005 - . Payload: Tselina-D no. 15. Mass: 4,000 kg (8,800 lb). Nation: Russia. Agency: MOM. Program: Tselina. Class: Surveillance. Type: SIGINT. Spacecraft: Tselina-D. Decay Date: 2000-06-15 . USAF Sat Cat: 10860 . COSPAR: 1978-045A. Apogee: 494 km (306 mi). Perigee: 485 km (301 mi). Inclination: 81.20 deg. Period: 94.40 min. 1978 June 28 - . 17:35 GMT - . Launch Site: Plesetsk. Launch Complex: Plesetsk LC32/2. LV Family: R-36. Launch Vehicle: Tsiklon-3. Cosmos 1025 - . Payload: Tselina-D Mass model no. 16. Mass: 4,375 kg (9,645 lb). Nation: Russia. Agency: MO. Program: Tselina. Class: Surveillance. Type: SIGINT. Spacecraft: Tselina-D. Decay Date: 2007-03-10 . USAF Sat Cat: 10973 . COSPAR: 1978-067A. Apogee: 567 km (352 mi). Perigee: 551 km (342 mi). Inclination: 82.50 deg. Period: 95.80 min. 1978 October 10 - . 19:44 GMT - . Launch Site: Plesetsk. LV Family: R-7. Launch Vehicle: Vostok 8A92M. Cosmos 1043 - . Payload: Tselina-D no. 17. Mass: 4,000 kg (8,800 lb). Nation: Russia. Agency: MOM. Program: Tselina. Class: Surveillance. Type: SIGINT. Spacecraft: Tselina-D. Decay Date: 1998-02-27 . USAF Sat Cat: 11055 . COSPAR: 1978-094A. Apogee: 433 km (269 mi). Perigee: 425 km (264 mi). Inclination: 81.20 deg. Period: 93.20 min. 1978 December 19 - . 01:35 GMT - . Launch Site: Plesetsk. LV Family: R-7. Launch Vehicle: Vostok 8A92M. Cosmos 1063 - . Payload: Tselina-D no. 18. Mass: 4,000 kg (8,800 lb). Nation: Russia. Agency: MOM. Program: Tselina. Class: Surveillance. Type: SIGINT. Spacecraft: Tselina-D. Decay Date: 2001-11-25 . USAF Sat Cat: 11155 . COSPAR: 1978-117A. Apogee: 524 km (325 mi). Perigee: 518 km (321 mi). Inclination: 81.20 deg. Period: 95.10 min. 1979 February 13 - . 21:41 GMT - . Launch Site: Plesetsk. LV Family: R-7. Launch Vehicle: Vostok 8A92M. Cosmos 1077 - . Payload: Tselina-D no. 19. Mass: 4,000 kg (8,800 lb). Nation: Russia. Agency: MOM. Program: Tselina. Class: Surveillance. Type: SIGINT. Spacecraft: Tselina-D. Decay Date: 2000-06-26 . USAF Sat Cat: 11268 . COSPAR: 1979-012A. Apogee: 491 km (305 mi). Perigee: 485 km (301 mi). Inclination: 81.20 deg. Period: 94.40 min. 1979 April 14 - . 05:27 GMT - . Launch Site: Plesetsk. LV Family: R-7. Launch Vehicle: Vostok 8A92M. Cosmos 1093 - . Payload: Tselina-D no. 20. Mass: 4,000 kg (8,800 lb). Nation: Russia. Agency: MOM. Program: Tselina. Class: Surveillance. Type: SIGINT. Spacecraft: Tselina-D. Decay Date: 2000-03-23 . USAF Sat Cat: 11331 . COSPAR: 1979-032A. Apogee: 487 km (302 mi). Perigee: 474 km (294 mi). Inclination: 81.20 deg. Period: 94.20 min. 1979 July 20 - . 11:58 GMT - . Launch Site: Plesetsk. LV Family: R-7. Launch Vehicle: Vostok 8A92M. Cosmos 1116 - . Payload: Tselina-D no. 21. Mass: 4,000 kg (8,800 lb). Nation: Russia. Agency: MOM. Program: Tselina. Class: Surveillance. Type: SIGINT. Spacecraft: Tselina-D. Decay Date: 1993-03-11 . USAF Sat Cat: 11457 . COSPAR: 1979-067A. Apogee: 408 km (253 mi). Perigee: 396 km (246 mi). Inclination: 81.20 deg. Period: 92.60 min. 1979 October 26 - . 18:12 GMT - . Launch Site: Plesetsk. LV Family: R-7. Launch Vehicle: Vostok 8A92M. Cosmos 1143 - . Payload: Tselina-D no. 22. Mass: 4,000 kg (8,800 lb). Nation: Russia. Agency: MOM. Program: Tselina. Class: Surveillance. Type: SIGINT. Spacecraft: Tselina-D. Decay Date: 2002-02-17 . USAF Sat Cat: 11600 . COSPAR: 1979-093A. Apogee: 533 km (331 mi). Perigee: 524 km (325 mi). Inclination: 81.30 deg. Period: 95.20 min. 1979 November 27 - . 09:55 GMT - . Launch Site: Plesetsk. LV Family: R-7. Launch Vehicle: Vostok 8A92M. Cosmos 1145 - . Payload: Tselina-D no. 23. Mass: 4,000 kg (8,800 lb). Nation: Russia. Agency: MOM. Program: Tselina. Class: Surveillance. Type: SIGINT. Spacecraft: Tselina-D. Decay Date: 2000-06-16 . USAF Sat Cat: 11629 . COSPAR: 1979-099A. Apogee: 495 km (307 mi). Perigee: 484 km (300 mi). Inclination: 81.20 deg. Period: 94.40 min. 1980 January 30 - . 12:51 GMT - . Launch Site: Plesetsk. LV Family: R-7. Launch Vehicle: Vostok 8A92M. Cosmos 1154 - . Payload: Tselina-D no. 24. Mass: 3,800 kg (8,300 lb). Nation: Russia. Agency: MOM. Program: Tselina. Class: Surveillance. Type: SIGINT. Spacecraft: Tselina-D. Decay Date: 2002-11-05 . USAF Sat Cat: 11682 . COSPAR: 1980-008A. Apogee: 545 km (338 mi). Perigee: 540 km (330 mi). Inclination: 81.20 deg. Period: 95.50 min. 1980 March 18 - . 16:01 GMT - . Launch Site: Plesetsk. Launch Complex: Plesetsk LC43/4. LV Family: R-7. Launch Vehicle: Vostok 8A92M. FAILURE: Booster exploded on pad during servicing. Severe pad damage, 48 people killed. Cause found to be change in solder with tin to that with lead in H2O2 filters, causing decomposition and explosion.. Failed Stage: 0. Tselina-D - . Nation: Russia. Agency: RVSN. Program: Tselina. Class: Surveillance. Type: SIGINT. Spacecraft: Tselina-D. Decay Date: 1980-03-18 . COSPAR: F800318A. This was the worst disaster since the Nedelin Catastrophe on 24 October 1964. A commission of military officers and chief designers reviewed the incident and requested changes to equipment and procedures, especially as regarded liquid oxygen handling. Another source reports that the explosion occurred during the fuelling of the Block E upper stage, and was due to hydrogen peroxide being present in a lox line filter and a confusion between fuel and lox lines. This error had always been possible, but had never happened in the 20 years of use of the booster before the explosion. The launch pad was badly damaged and not put back into service until April 1983. 1980 June 4 - . 07:34 GMT - . Launch Site: Plesetsk. LV Family: R-7. Launch Vehicle: Vostok 8A92M. Cosmos 1184 - . Payload: Tselina-D no. 25. Mass: 3,800 kg (8,300 lb). Nation: Russia. Agency: MOM. Program: Tselina. Class: Surveillance. Type: SIGINT. Spacecraft: Tselina-D. Decay Date: 2002-04-29 . USAF Sat Cat: 11821 . COSPAR: 1980-044A. Apogee: 535 km (332 mi). Perigee: 532 km (330 mi). Inclination: 81.20 deg. Period: 95.30 min. 1980 August 15 - . 05:34 GMT - . Launch Site: Plesetsk. LV Family: R-7. Launch Vehicle: Vostok 8A92M. Cosmos 1206 - . Payload: Tselina-D no. 26. Mass: 3,800 kg (8,300 lb). Nation: Russia. Agency: MOM. Program: Tselina. Class: Surveillance. Type: SIGINT. Spacecraft: Tselina-D. Decay Date: 2002-01-14 . USAF Sat Cat: 11932 . COSPAR: 1980-069A. Apogee: 531 km (329 mi). Perigee: 525 km (326 mi). Inclination: 81.20 deg. Period: 95.20 min. 1980 November 21 - . 11:53 GMT - . Launch Site: Plesetsk. LV Family: R-7. Launch Vehicle: Vostok 8A92M. Cosmos 1222 - . Payload: Tselina-D no. 27. Mass: 3,800 kg (8,300 lb). Nation: Russia. Agency: MOM. Program: Tselina. Class: Surveillance. Type: SIGINT. Spacecraft: Tselina-D. Decay Date: 2011-04-27 . USAF Sat Cat: 12071 . COSPAR: 1980-093A. Apogee: 561 km (348 mi). Perigee: 557 km (346 mi). Inclination: 81.20 deg. Period: 95.90 min. 1981 January 27 - . 14:58 GMT - . Launch Site: Plesetsk. LV Family: R-7. Launch Vehicle: Vostok 8A92M. Cosmos 1242 - . Payload: Tselina-D no. 28. Mass: 2,500 kg (5,500 lb). Nation: Russia. Agency: MOM. Program: Tselina. Class: Surveillance. Type: SIGINT. Spacecraft: Tselina-D. Decay Date: 2014-05-08 . USAF Sat Cat: 12154 . COSPAR: 1981-008A. Apogee: 584 km (362 mi). Perigee: 568 km (352 mi). Inclination: 81.20 deg. Period: 96.20 min. 1981 May 19 - . 03:49 GMT - . Launch Site: Plesetsk. LV Family: R-7. Launch Vehicle: Vostok 8A92M. Cosmos 1271 - . Payload: Tselina-D no. 29. Mass: 2,500 kg (5,500 lb). Nation: Russia. Agency: MOM. Program: Tselina. Class: Surveillance. Type: SIGINT. Spacecraft: Tselina-D. Decay Date: 2013-05-03 . USAF Sat Cat: 12464 . COSPAR: 1981-046A. Apogee: 582 km (361 mi). Perigee: 565 km (351 mi). Inclination: 81.20 deg. Period: 96.20 min. Replaced Cosmos 1077..
1981 August 24 - . 21:40 GMT - . Launch Site: Plesetsk. Launch Complex: Plesetsk LC32/1. LV Family: R-36. Launch Vehicle: Tsiklon-3. Cosmos 1300 - . Payload: Tselina-D no. 30. Nation: Russia. Agency: MO. Program: Tselina. Class: Surveillance. Type: SIGINT. Spacecraft: Tselina-D. USAF Sat Cat: 12785 . COSPAR: 1981-082A. Apogee: 609 km (378 mi). Perigee: 589 km (365 mi). Inclination: 82.50 deg. Period: 96.70 min. 1981 October 13 - . 23:01 GMT - . Launch Site: Plesetsk. LV Family: R-7. Launch Vehicle: Vostok 8A92M. Cosmos 1315 - . Payload: Tselina-D no. 31. Mass: 2,500 kg (5,500 lb). Nation: Russia. Agency: MOM. Program: Tselina. Class: Surveillance. Type: SIGINT. Spacecraft: Tselina-D. Decay Date: 2015-08-31 . USAF Sat Cat: 12903 . COSPAR: 1981-103A. Apogee: 599 km (372 mi). Perigee: 571 km (354 mi). Inclination: 81.20 deg. Period: 96.40 min. Replaced Cosmos 1154..
1981 December 3 - . 11:47 GMT - . Launch Site: Plesetsk. Launch Complex: Plesetsk LC32/1. LV Family: R-36. Launch Vehicle: Tsiklon-3. Cosmos 1328 - . Payload: Tselina-D no. 32. Nation: Russia. Agency: MO. Program: Tselina. Class: Surveillance. Type: SIGINT. Spacecraft: Tselina-D. USAF Sat Cat: 12987 . COSPAR: 1981-117A. Apogee: 619 km (384 mi). Perigee: 597 km (370 mi). Inclination: 82.50 deg. Period: 96.90 min. 1982 February 19 - . 01:42 GMT - . Launch Site: Plesetsk. LV Family: R-7. Launch Vehicle: Vostok 8A92M. Cosmos 1340 - . Payload: Tselina-D no. 33. Mass: 2,500 kg (5,500 lb). Nation: Russia. Agency: MOM. Program: Tselina. Class: Surveillance. Type: SIGINT. Spacecraft: Tselina-D. USAF Sat Cat: 13067 . COSPAR: 1982-013A. Apogee: 604 km (375 mi). Perigee: 590 km (360 mi). Inclination: 81.20 deg. Period: 96.60 min. Replaced Cosmos 1206..
1982 March 31 - . 16:27 GMT - . Launch Site: Plesetsk. LV Family: R-7. Launch Vehicle: Vostok 8A92M. Cosmos 1346 - . Payload: Tselina-D no. 34. Mass: 2,500 kg (5,500 lb). Nation: Russia. Agency: MOM. Program: Tselina. Class: Surveillance. Type: SIGINT. Spacecraft: Tselina-D. Decay Date: 2017-12-17 . USAF Sat Cat: 13120 . COSPAR: 1982-027A. Apogee: 602 km (374 mi). Perigee: 572 km (355 mi). Inclination: 81.20 deg. Period: 96.40 min. Replaced Cosmos 1222..
1982 May 5 - . 08:01 GMT - . Launch Site: Plesetsk. LV Family: R-7. Launch Vehicle: Vostok 8A92M. Cosmos 1356 - . Payload: Tselina-D no. 35. Mass: 2,500 kg (5,500 lb). Nation: Russia. Agency: MOM. Program: Tselina. Class: Surveillance. Type: SIGINT. Spacecraft: Tselina-D. USAF Sat Cat: 13153 . COSPAR: 1982-039A. Apogee: 612 km (380 mi). Perigee: 587 km (364 mi). Inclination: 81.20 deg. Period: 96.70 min. Replaced Cosmos 1184..
1982 June 10 - . 17:37 GMT - . Launch Site: Plesetsk. Launch Complex: Plesetsk LC32/1. LV Family: R-36. Launch Vehicle: Tsiklon-3. Cosmos 1378 - . Payload: Tselina-D no. 36. Mass: 2,200 kg (4,800 lb). Nation: Russia. Agency: MO. Program: Tselina. Class: Surveillance. Type: SIGINT. Spacecraft: Tselina-D. USAF Sat Cat: 13271 . COSPAR: 1982-059A. Apogee: 618 km (384 mi). Perigee: 593 km (368 mi). Inclination: 82.50 deg. Period: 96.80 min. 1982 August 5 - . 06:56 GMT - . Launch Site: Plesetsk. LV Family: R-7. Launch Vehicle: Vostok 8A92M. Cosmos 1400 - . Payload: Tselina-D no. 37. Mass: 2,500 kg (5,500 lb). Nation: Russia. Agency: MOM. Program: Tselina. Class: Surveillance. Type: SIGINT. Spacecraft: Tselina-D. Decay Date: 2014-09-13 . USAF Sat Cat: 13402 . COSPAR: 1982-079A. Apogee: 590 km (360 mi). Perigee: 575 km (357 mi). Inclination: 81.20 deg. Period: 96.30 min. Replaced Cosmos 1315..
1982 September 16 - . 04:55 GMT - . Launch Site: Plesetsk. Launch Complex: Plesetsk LC32. Launch Pad: LC32/2. LV Family: R-36. Launch Vehicle: Tsiklon-3. Cosmos 1408 - . Payload: Tselina-D no. 38. Mass: 2,200 kg (4,800 lb). Nation: Russia. Agency: MO. Program: Tselina. Class: Surveillance. Type: SIGINT. Spacecraft: Tselina-D. USAF Sat Cat: 13552 . COSPAR: 1982-092A. Apogee: 617 km (383 mi). Perigee: 587 km (364 mi). Inclination: 82.60 deg. Period: 96.70 min. Replaced Cosmos 1378..
1983 January 20 - . 17:26 GMT - . Launch Site: Plesetsk. LV Family: R-7. Launch Vehicle: Vostok 8A92M. Cosmos 1437 - . Payload: Tselina-D no. 39. Mass: 2,500 kg (5,500 lb). Nation: Russia. Agency: MOM. Program: Tselina. Class: Surveillance. Type: SIGINT. Spacecraft: Tselina-D. USAF Sat Cat: 13770 . COSPAR: 1983-003A. Apogee: 604 km (375 mi). Perigee: 581 km (361 mi). Inclination: 81.20 deg. Period: 96.50 min. 1983 February 16 - . 10:03 GMT - . Launch Site: Plesetsk. Launch Complex: Plesetsk LC41/1. LV Family: R-7. Launch Vehicle: Vostok 8A92M. Cosmos 1441 - . Payload: Tselina-D no. 40. Mass: 2,000 kg (4,400 lb). Nation: Russia. Agency: MOM. Program: Tselina. Class: Surveillance. Type: SIGINT. Spacecraft: Tselina-D. Decay Date: 2014-11-08 . USAF Sat Cat: 13818 . COSPAR: 1983-010A. Apogee: 587 km (364 mi). Perigee: 578 km (359 mi). Inclination: 81.10 deg. Period: 96.30 min. 1983 April 23 - . 14:30 GMT - . Launch Site: Plesetsk. Launch Complex: Plesetsk LC32. Launch Pad: LC32/2. LV Family: R-36. Launch Vehicle: Tsiklon-3. Cosmos 1455 - . Payload: Tselina-D no. 41. Nation: Russia. Agency: MO. Program: Tselina. Class: Surveillance. Type: SIGINT. Spacecraft: Tselina-D. USAF Sat Cat: 14032 . COSPAR: 1983-037A. Apogee: 617 km (383 mi). Perigee: 592 km (367 mi). Inclination: 82.50 deg. Period: 96.80 min. 1983 June 22 - . 23:58 GMT - . Launch Site: Plesetsk. Launch Complex: Plesetsk LC32. Launch Pad: LC32/2. LV Family: R-36. Launch Vehicle: Tsiklon-3. Cosmos 1470 - . Payload: Tselina-D no. 42. Nation: Russia. Agency: MO. Program: Tselina. Class: Surveillance. Type: SIGINT. Spacecraft: Tselina-D. USAF Sat Cat: 14147 . COSPAR: 1983-061A. Apogee: 626 km (388 mi). Perigee: 596 km (370 mi). Inclination: 82.50 deg. Period: 96.90 min. 1983 December 15 - . 12:25 GMT - . Launch Site: Plesetsk. Launch Complex: Plesetsk LC32. Launch Pad: LC32/2. LV Family: R-36. Launch Vehicle: Tsiklon-3. Cosmos 1515 - . Payload: Tselina-D no. 43. Nation: Russia. Agency: MO. Program: Tselina. Class: Surveillance. Type: SIGINT. Spacecraft: Tselina-D. USAF Sat Cat: 14551 . COSPAR: 1983-122A. Apogee: 620 km (380 mi). Perigee: 595 km (369 mi). Inclination: 82.50 deg. Period: 96.90 min. 1984 February 8 - . 09:23 GMT - . Launch Site: Plesetsk. Launch Complex: Plesetsk LC32. Launch Pad: LC32/2. LV Family: R-36. Launch Vehicle: Tsiklon-3. Cosmos 1536 - . Payload: Tselina-D no. 44. Mass: 2,200 kg (4,800 lb). Nation: Russia. Agency: MO. Program: Tselina. Class: Surveillance. Type: SIGINT. Spacecraft: Tselina-D. USAF Sat Cat: 14699 . COSPAR: 1984-013A. Apogee: 631 km (392 mi). Perigee: 602 km (374 mi). Inclination: 82.50 deg. Period: 97.00 min. 1984 October 18 - . 17:46 GMT - . Launch Site: Plesetsk. Launch Complex: Plesetsk LC32. Launch Pad: LC32/2. LV Family: R-36. Launch Vehicle: Tsiklon-3. Cosmos 1606 - . Payload: Tselina-D no. 46. Mass: 2,000 kg (4,400 lb). Nation: Russia. Agency: MO. Program: Tselina. Class: Surveillance. Type: SIGINT. Spacecraft: Tselina-D. USAF Sat Cat: 15369 . COSPAR: 1984-111A. Apogee: 623 km (387 mi). Perigee: 592 km (367 mi). Inclination: 82.50 deg. Period: 96.90 min. Replaced Cosmos 1455..
1985 January 24 - . 16:45 GMT - . Launch Site: Plesetsk. Launch Complex: Plesetsk LC32. Launch Pad: LC32/2. LV Family: R-36. Launch Vehicle: Tsiklon-3. Cosmos 1626 - . Payload: Tselina-D no. 47. Mass: 2,200 kg (4,800 lb). Nation: Russia. Agency: MO. Program: Tselina. Class: Surveillance. Type: SIGINT. Spacecraft: Tselina-D. USAF Sat Cat: 15494 . COSPAR: 1985-009A. Apogee: 618 km (384 mi). Perigee: 590 km (360 mi). Inclination: 82.50 deg. Period: 96.80 min. Replaced Cosmos 1408..
1985 March 5 - . 15:39 GMT - . Launch Site: Plesetsk. Launch Complex: Plesetsk LC32. Launch Pad: LC32/2. LV Family: R-36. Launch Vehicle: Tsiklon-3. Cosmos 1633 - . Payload: Tselina-D no. 48. Mass: 2,200 kg (4,800 lb). Nation: Russia. Agency: MO. Program: Tselina. Class: Surveillance. Type: SIGINT. Spacecraft: Tselina-D. USAF Sat Cat: 15592 . COSPAR: 1985-020A. Apogee: 613 km (380 mi). Perigee: 595 km (369 mi). Inclination: 82.50 deg. Period: 96.80 min. Replaced Cosmos 1470..
1985 July 8 - . 23:40 GMT - . Launch Site: Plesetsk. Launch Complex: Plesetsk LC32. Launch Pad: LC32/2. LV Family: R-36. Launch Vehicle: Tsiklon-3. Cosmos 1666 - . Payload: Tselina-D no. 49. Mass: 1,500 kg (3,300 lb). Nation: Russia. Agency: MO. Program: Tselina. Class: Surveillance. Type: SIGINT. Spacecraft: Tselina-D. USAF Sat Cat: 15889 . COSPAR: 1985-058A. Apogee: 622 km (386 mi). Perigee: 595 km (369 mi). Inclination: 82.50 deg. Period: 96.90 min. 1985 August 8 - . 11:49 GMT - . Launch Site: Plesetsk. Launch Complex: Plesetsk LC32. Launch Pad: LC32/1. LV Family: R-36. Launch Vehicle: Tsiklon-3. Cosmos 1674 - . Payload: Tselina-D no. 50. Mass: 1,500 kg (3,300 lb). Nation: Russia. Agency: MO. Program: Tselina. Class: Surveillance. Type: SIGINT. Spacecraft: Tselina-D. USAF Sat Cat: 15944 . COSPAR: 1985-069A. Apogee: 620 km (380 mi). Perigee: 594 km (369 mi). Inclination: 82.50 deg. Period: 96.80 min. Replaced Cosmos 1536..
1985 November 22 - . 22:20 GMT - . Launch Site: Plesetsk. Launch Complex: Plesetsk LC32. Launch Pad: LC32/2. LV Family: R-36. Launch Vehicle: Tsiklon-3. Cosmos 1703 - . Payload: Tselina-D no. 51. Nation: Russia. Agency: MO. Program: Tselina. Class: Surveillance. Type: SIGINT. Spacecraft: Tselina-D. USAF Sat Cat: 16262 . COSPAR: 1985-108A. Apogee: 621 km (385 mi). Perigee: 596 km (370 mi). Inclination: 82.50 deg. Period: 96.90 min. Replaced Cosmos 1674..
1985 December 12 - . 15:51 GMT - . Launch Site: Plesetsk. Launch Complex: Plesetsk LC32. Launch Pad: LC32/1. LV Family: R-36. Launch Vehicle: Tsiklon-3. Cosmos 1707 - . Payload: Tselina-D no. 52. Nation: Russia. Agency: MO. Program: Tselina. Class: Surveillance. Type: SIGINT. Spacecraft: Tselina-D. USAF Sat Cat: 16326 . COSPAR: 1985-113A. Apogee: 623 km (387 mi). Perigee: 596 km (370 mi). Inclination: 82.50 deg. Period: 96.90 min. Replaced Cosmos 1515..
1986 January 17 - . 07:21 GMT - . Launch Site: Plesetsk. Launch Complex: Plesetsk LC32. Launch Pad: LC32/1. LV Family: R-36. Launch Vehicle: Tsiklon-3. Cosmos 1726 - . Payload: Tselina-D no. 53. Mass: 2,000 kg (4,400 lb). Nation: Russia. Agency: MO. Program: Tselina. Class: Surveillance. Type: SIGINT. Spacecraft: Tselina-D. USAF Sat Cat: 16495 . COSPAR: 1986-006A. Apogee: 618 km (384 mi). Perigee: 590 km (360 mi). Inclination: 82.50 deg. Period: 96.80 min. 1986 February 19 - . 23:04 GMT - . Launch Site: Plesetsk. Launch Complex: Plesetsk LC32. Launch Pad: LC32/pad?. LV Family: R-36. Launch Vehicle: Tsiklon-3. Cosmos 1733 - . Payload: Tselina-D no. 54. Nation: Russia. Agency: MO. Program: Tselina. Class: Surveillance. Type: SIGINT. Spacecraft: Tselina-D. USAF Sat Cat: 16611 . COSPAR: 1986-018A. Apogee: 618 km (384 mi). Perigee: 594 km (369 mi). Inclination: 82.50 deg. Period: 96.80 min. Replaced Cosmos 1544..
1986 May 15 - . 04:26 GMT - . Launch Site: Plesetsk. Launch Complex: Plesetsk LC32. Launch Pad: LC32/1. LV Family: R-36. Launch Vehicle: Tsiklon-3. Cosmos 1743 - . Payload: Tselina-D no. 55. Mass: 1,600 kg (3,500 lb). Nation: Russia. Agency: MO. Program: Tselina. Class: Surveillance. Type: SIGINT. Spacecraft: Tselina-D. USAF Sat Cat: 16719 . COSPAR: 1986-034A. Apogee: 623 km (387 mi). Perigee: 594 km (369 mi). Inclination: 82.60 deg. Period: 96.90 min. Replaced Cosmos 1626..
1986 June 12 - . 04:43 GMT - . Launch Site: Plesetsk. Launch Complex: Plesetsk LC32. Launch Pad: LC32/1. LV Family: R-36. Launch Vehicle: Tsiklon-3. Cosmos 1758 - . Payload: Tselina-D no. 56. Mass: 1,600 kg (3,500 lb). Nation: Russia. Agency: MO. Program: Tselina. Class: Surveillance. Type: SIGINT. Spacecraft: Tselina-D. USAF Sat Cat: 16791 . COSPAR: 1986-046A. Apogee: 636 km (395 mi). Perigee: 603 km (374 mi). Inclination: 82.50 deg. Period: 97.10 min. Replaced Cosmos 1666..
1986 September 30 - . 18:34 GMT - . Launch Site: Plesetsk. Launch Complex: Plesetsk LC32. Launch Pad: LC32/1. LV Family: R-36. Launch Vehicle: Tsiklon-3. Cosmos 1782 - . Payload: Tselina-D no. 57. Mass: 1,400 kg (3,000 lb). Nation: Russia. Agency: MO. Program: Tselina. Class: Surveillance. Type: SIGINT. Spacecraft: Tselina-D. USAF Sat Cat: 16986 . COSPAR: 1986-074A. Apogee: 628 km (390 mi). Perigee: 605 km (375 mi). Inclination: 82.50 deg. Period: 97.00 min. 1986 December 10 - . 07:30 GMT - . Launch Site: Plesetsk. Launch Complex: Plesetsk LC32. Launch Pad: LC32/2. LV Family: R-36. Launch Vehicle: Tsiklon-3. Cosmos 1805 - . Payload: Tselina-D no. 58. Mass: 1,400 kg (3,000 lb). Nation: Russia. Agency: MO. Program: Tselina. Class: Surveillance. Type: SIGINT. Spacecraft: Tselina-D. USAF Sat Cat: 17191 . COSPAR: 1986-097A. Apogee: 622 km (386 mi). Perigee: 598 km (371 mi). Inclination: 82.50 deg. Period: 96.90 min. 1987 January 14 - . 09:05 GMT - . Launch Site: Plesetsk. Launch Complex: Plesetsk LC32. Launch Pad: LC32/2. LV Family: R-36. Launch Vehicle: Tsiklon-3. Cosmos 1812 - . Payload: Tselina-D no. 59. Mass: 1,600 kg (3,500 lb). Nation: Russia. Agency: MO. Program: Tselina. Class: Surveillance. Type: SIGINT. Spacecraft: Tselina-D. USAF Sat Cat: 17295 . COSPAR: 1987-003A. Apogee: 622 km (386 mi). Perigee: 598 km (371 mi). Inclination: 82.50 deg. Period: 96.90 min. Ocean surveillance..
1987 March 3 - . 15:03 GMT - . Launch Site: Plesetsk. Launch Complex: Plesetsk LC32. Launch Pad: LC32/2. LV Family: R-36. Launch Vehicle: Tsiklon-3. Cosmos 1825 - . Payload: Tselina-D no. 60. Mass: 1,600 kg (3,500 lb). Nation: Russia. Agency: MO. Program: Tselina. Class: Surveillance. Type: SIGINT. Spacecraft: Tselina-D. USAF Sat Cat: 17566 . COSPAR: 1987-024A. Apogee: 621 km (385 mi). Perigee: 594 km (369 mi). Inclination: 82.50 deg. Period: 96.80 min. Ocean surveillance..
1987 April 27 - . 00:00 GMT - . Launch Site: Plesetsk. Launch Complex: Plesetsk LC32. Launch Pad: LC32/2. LV Family: R-36. Launch Vehicle: Tsiklon-3. Cosmos 1842 - . Payload: Tselina-D no. 61. Mass: 1,600 kg (3,500 lb). Nation: Russia. Agency: MO. Program: Tselina. Class: Surveillance. Type: SIGINT. Spacecraft: Tselina-D. USAF Sat Cat: 17911 . COSPAR: 1987-038A. Apogee: 628 km (390 mi). Perigee: 602 km (374 mi). Inclination: 82.50 deg. Period: 97.00 min. 1987 July 1 - . 19:35 GMT - . Launch Site: Plesetsk. Launch Complex: Plesetsk LC32. Launch Pad: LC32/2. LV Family: R-36. Launch Vehicle: Tsiklon-3. Cosmos 1862 - . Payload: Tselina-D no. 62. Mass: 1,600 kg (3,500 lb). Nation: Russia. Agency: MO. Program: Tselina. Class: Surveillance. Type: SIGINT. Spacecraft: Tselina-D. USAF Sat Cat: 18152 . COSPAR: 1987-055A. Apogee: 636 km (395 mi). Perigee: 602 km (374 mi). Inclination: 82.50 deg. Period: 97.10 min. 1987 October 20 - . 09:09 GMT - . Launch Site: Plesetsk. Launch Complex: Plesetsk LC32. Launch Pad: LC32/1. LV Family: R-36. Launch Vehicle: Tsiklon-3. Cosmos 1892 - . Payload: Tselina-D no. 63. Mass: 1,600 kg (3,500 lb). Nation: Russia. Agency: MO. Program: Tselina. Class: Surveillance. Type: SIGINT. Spacecraft: Tselina-D. USAF Sat Cat: 18421 . COSPAR: 1987-088A. Apogee: 623 km (387 mi). Perigee: 595 km (369 mi). Inclination: 82.50 deg. Period: 96.90 min. 1988 January 6 - . 07:41 GMT - . Launch Site: Plesetsk. Launch Complex: Plesetsk LC32. Launch Pad: LC32/2. LV Family: R-36. Launch Vehicle: Tsiklon-3. Cosmos 1908 - . Payload: Tselina-D no. 64. Mass: 1,600 kg (3,500 lb). Nation: Russia. Agency: MO. Program: Tselina. Class: Surveillance. Type: SIGINT. Spacecraft: Tselina-D. USAF Sat Cat: 18748 . COSPAR: 1988-001A. Apogee: 626 km (388 mi). Perigee: 600 km (370 mi). Inclination: 82.50 deg. Period: 97.00 min. 1988 June 14 - . 03:18 GMT - . Launch Site: Plesetsk. Launch Complex: Plesetsk LC32. Launch Pad: LC32/2. LV Family: R-36. Launch Vehicle: Tsiklon-3. Cosmos 1953 - . Payload: Tselina-D no. 66. Mass: 1,600 kg (3,500 lb). Nation: Russia. Agency: MO. Program: Tselina. Class: Surveillance. Type: SIGINT. Spacecraft: Tselina-D. USAF Sat Cat: 19210 . COSPAR: 1988-050A. Apogee: 637 km (395 mi). Perigee: 604 km (375 mi). Inclination: 82.50 deg. Period: 97.10 min. Outer space research. .
1988 October 11 - . 08:01 GMT - . Launch Site: Plesetsk. Launch Complex: Plesetsk LC32. Launch Pad: LC32/1. LV Family: R-36. Launch Vehicle: Tsiklon-3. Cosmos 1975 - . Payload: Tselina-D no. 67. Nation: Russia. Agency: MO. Program: Tselina. Class: Surveillance. Type: SIGINT. Spacecraft: Tselina-D. USAF Sat Cat: 19573 . COSPAR: 1988-093A. Apogee: 636 km (395 mi). Perigee: 604 km (375 mi). Inclination: 82.50 deg. Period: 97.10 min. Investigation of outer space. .
1990 January 30 - . 11:20 GMT - . Launch Site: Plesetsk. Launch Complex: Plesetsk LC32. Launch Pad: LC32/pad?. LV Family: R-36. Launch Vehicle: Tsiklon-3. Cosmos 2058 - . Payload: Tselina-D no. 68. Mass: 2,000 kg (4,400 lb). Nation: Russia. Agency: MO. Program: Tselina. Class: Surveillance. Type: SIGINT. Spacecraft: Tselina-D. USAF Sat Cat: 20465 . COSPAR: 1990-010A. Apogee: 645 km (400 mi). Perigee: 616 km (382 mi). Inclination: 82.50 deg. Period: 97.30 min. Investigation of outer space. .
1991 June 13 - . 15:41 GMT - . Launch Site: Plesetsk. Launch Complex: Plesetsk LC32. Launch Pad: LC32/2. LV Family: R-36. Launch Vehicle: Tsiklon-3. Cosmos 2151 - . Payload: Tselina-D no. 70. Mass: 2,000 kg (4,400 lb). Nation: Russia. Agency: MO. Program: Tselina. Class: Surveillance. Type: SIGINT. Spacecraft: Tselina-D. USAF Sat Cat: 21422 . COSPAR: 1991-042A. Apogee: 653 km (405 mi). Perigee: 625 km (388 mi). Inclination: 82.50 deg. Period: 97.50 min. Investigation of outer space. .
1992 November 24 - . 04:09 GMT - . Launch Site: Plesetsk. Launch Complex: Plesetsk LC32. Launch Pad: LC32/pad?. LV Family: R-36. Launch Vehicle: Tsiklon-3. Cosmos 2221 - . Payload: Tselina-D no. 71. Mass: 2,000 kg (4,400 lb). Nation: Russia. Agency: MO. Program: Tselina. Class: Surveillance. Type: SIGINT. Spacecraft: Tselina-D. USAF Sat Cat: 22236 . COSPAR: 1992-080A. Apogee: 662 km (411 mi). Perigee: 630 km (390 mi). Inclination: 82.50 deg. Period: 97.70 min. Investigation of outer space. .
1992 December 25 - . 20:07 GMT - . Launch Site: Plesetsk. Launch Complex: Plesetsk LC32. Launch Pad: LC32/2. LV Family: R-36. Launch Vehicle: Tsiklon-3. Cosmos 2228 - . Payload: Tselina-D no. 72. Mass: 2,000 kg (4,400 lb). Nation: Russia. Agency: MO. Program: Tselina. Class: Surveillance. Type: SIGINT. Spacecraft: Tselina-D. USAF Sat Cat: 22286 . COSPAR: 1992-094A. Apogee: 666 km (413 mi). Perigee: 628 km (390 mi). Inclination: 82.50 deg. Period: 97.70 min. Investigation of outer space. .
1993 April 16 - . 07:49 GMT - . Launch Site: Plesetsk. LV Family: R-36. Launch Vehicle: Tsiklon-3. Cosmos 2242 - . Payload: Tselina-D no. 73. Mass: 2,000 kg (4,400 lb). Nation: Russia. Agency: MO. Program: Tselina. Class: Surveillance. Type: SIGINT. Spacecraft: Tselina-D. USAF Sat Cat: 22626 . COSPAR: 1993-024A. Apogee: 665 km (413 mi). Perigee: 629 km (390 mi). Inclination: 82.50 deg. Period: 97.70 min. Ocean surveillance. Investigation of outer space. .
1994 May 25 - . 10:15 GMT - . Launch Site: Plesetsk. Launch Complex: Plesetsk LC32/2. LV Family: R-36. Launch Vehicle: Tsiklon-3. FAILURE: Stage 2 and 3 failed to separate due to a breakdown of the launch vehicle control system.. Failed Stage: 3. Tselina-D - . Payload: Tselina-D no. 74. Nation: Russia. Agency: VKS. Program: Tselina. Class: Surveillance. Type: SIGINT. Spacecraft: Tselina-D. Destroyed by launch safety..